Kim Cobb, Ph.D. is the ADVANCE professor and Georgia Power faculty scholar in the School of Earth and Atmospheric Sciences at Georgia Tech. Her research uses corals and cave stalagmites to probe the mechanisms of past, present, and future climate change. Cobb received her B.A. from Yale University in 1996 and her Ph.D. in oceanography from the Scripps Institute of Oceanography in 2002. She spent two years at Caltech in the Department of Geological and Planetary Sciences before joining the faculty at Georgia Tech in 2004. Cobb has sailed on oceanographic cruises to the deep tropics and led caving expeditions to the rainforests of Borneo in support of her research. She has received numerous awards for her research, most notably a NSF CAREER Award in 2007 and a Presidential Early Career Award for Scientists and Engineers in 2008. 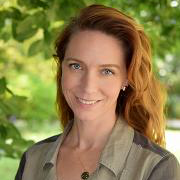 Cobb is an editor for Geophysical Research Letters, sits on the international CLIVAR Pacific Panel, and serves on the advisory council for the American Association for the Advancement of Science’s Leshner Institute for Public Engagement. As a mother to four, she is a strong advocate for women in science. Cobb is also devoted to the clear and frequent communication of climate change to the public through speaking engagements and social media.